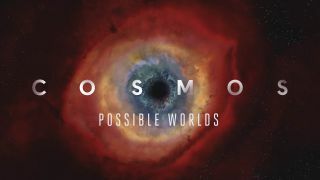 A book "Cosmos: Possible Worlds" will accompany the second season of the TV series "Cosmos: A Spacetime Odyssey." LOS ANGELES -- Get ready, space fans: "Cosmos: A Spacetime Odyssey" has been renewed for a second season. Fox and National Geographic announced yesterday (Jan. 13) that the series will return in the spring of 2019. Astrophysicist and science communicator Neil deGrasse Tyson will return as the series' host. "Following a wildly successful run in 2014 as the most-watched series ever on National Geographic Channels internationally, and seen by more than 135 million people worldwide on National Geographic and FOX, the new season will once again premiere in the U.S. on both FOX and National Geographic and globally on National Geographic in 171 countries and 43 languages," according to a news release from National Geographic. In an interview with reporters here in Los Angeles, Druyan said the new season would offer a hopeful view of the future, which she said is particularly important for young people. "'Cosmos' has a view of the future which I believe has the power to inspire people," Duyan said. "So much of what we see and so much of what our kids and grandchildren see is so dystopic and despairing. It's like … our punishment for all our sins is just around the corner, and humanity doesn't have a future except the one that's choking and dying. And in 'Cosmos' we imagine the future that we can still have." Seth MacFarlane will also return as an executive producer for the show. MacFarlane is the creator multiple TV shows including "Family Guy," and the Star-Trek spoof "The Orville," in which he also stars. Druyan and series co-writer Steven Soter won an Emmy Award for the show's first season, which debuted in March 2014. Druyan said the time delay between the premier of the first and second season was due to the pace of her own writing, and the extensive amount of time she invested in finding the right stories for the show. National Geographic also announced today that it will publish a companion book to the series, "Cosmos: Possible Worlds," by Druyan. The book is a follow-up to Sagan's book, "Cosmos: A Personal Voyage," according to a statement from National Geographic.